Tools and instruments are extremely important in hair transplants. We have spent thousands to continuously upgrade our equipment and technology. Dr. Sean Behnam does not spare a dime when it comes to achieving the best quality results. He goes above and beyond to introduce the latest innovation in his practice. Below are a list of frequently asked questions pertaining to tools and techniques. 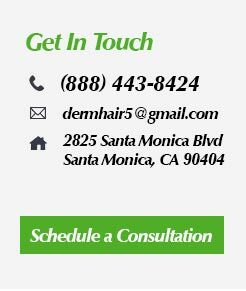 Does Dr. Behnam use microscope for hair transplantation? Yes. We use the most advanced microscope during our hair transplantation procedures. These microscopes allow for accurate dissection of the hair grafts. Above, Dr. Sean Behnam using a Meji microscope to evaluate the grafts. 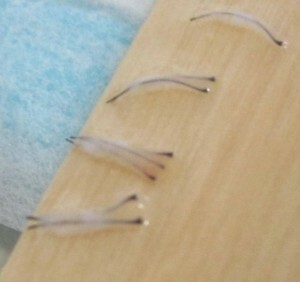 This is an example of different hair follicles. Some hair follicles have one hair (upper right) , others two and even three. Advanced microscopes were used to gently dissect each hair follicle. Please notice the hgh quality of each follicle. Does the instrument used to create recipient sites for the grafts leave any scarring? 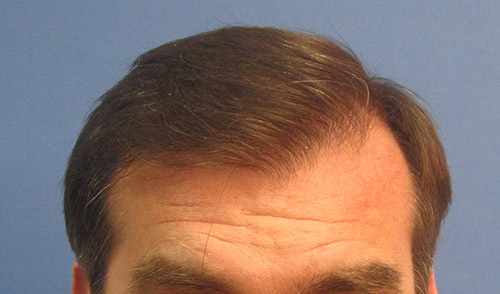 No, Dr. Behnam’s instrument used to create sites for the grafts does not leave any scarring. When the hairs grows, it looks very natural. The hairline has been completely transplanted. Please notice the sites the gratfs protrude out of. There is no sign of scarring. Dr. Sean Behnam uses special instruments to make sites that are so small they do not leave any scars. Who dissects the grafts under the microscopes? Specially trained technicians dissect the grafts under the microscopes. They are all supervised by Dr. Sean Behnam. Our technicians have over 30 collective years of experience dissecting grafts. Is there standard quality control to make sure all grafts are dissected in the same way? Yes. There is standard quality control to make sure that the grafts are cut in accordance to the most advanced techniques. Dr. Behnam oversees every aspect of every surgery.